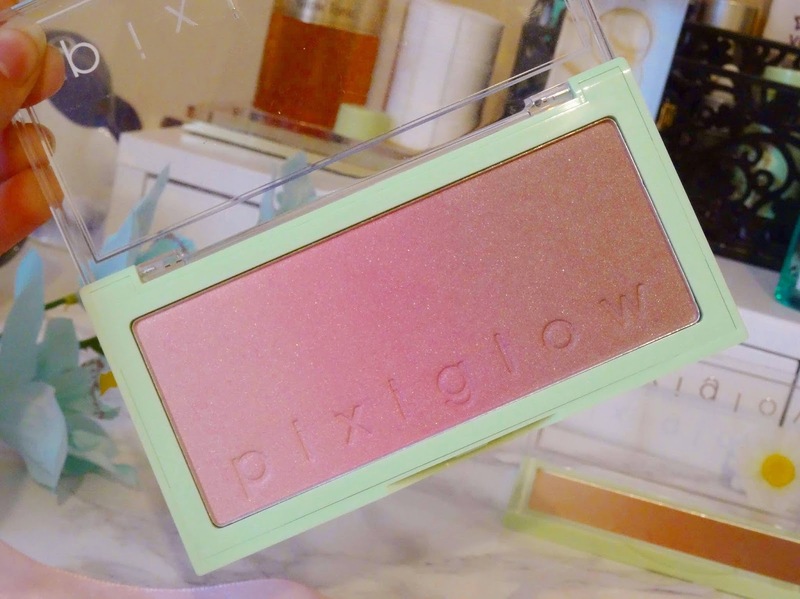 Pixi have been killing it this past year or so with their new releases, from their additions to the tonic range and now their gorgeous glow cakes*. They have come out with two glow cakes* one in GildedBare Glow and the other in PinkChampagne Glow, you can probably guess which is which! 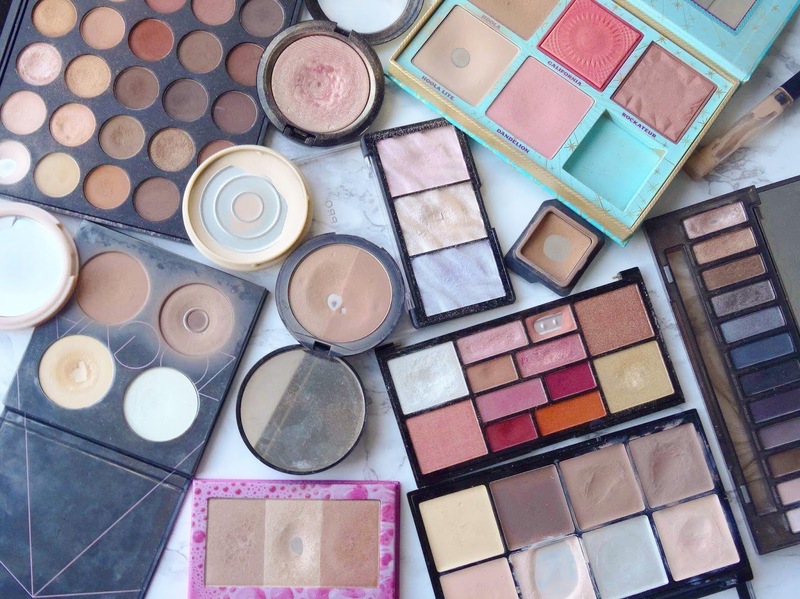 The one that caught my eye first was the bronzier one out of the two, typically I gravitate to the lighter, warmer more natural shades due to my pale complexion. However, they are both beautiful! 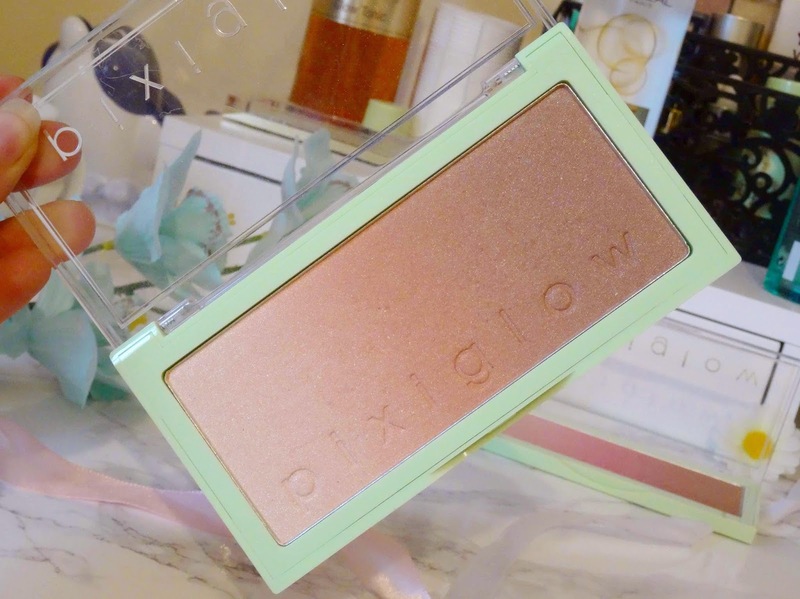 The glow cakes were introduced to the market as being a 3 in 1 gradient cheek colour and I really like the concept of having your blush, bronzer and highlighter all in one place. 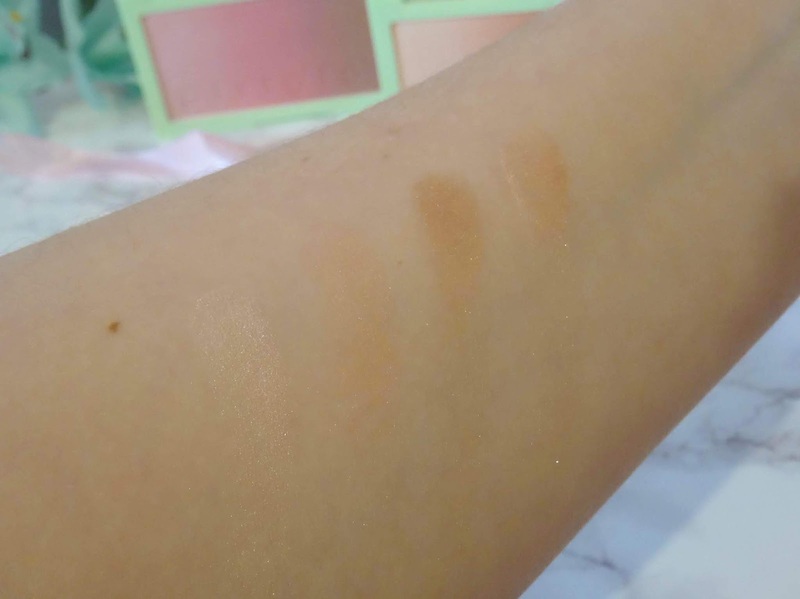 The clever gradient design enables you to use the palette with ease, allowing you to apply a wash of colour on top of your foundation with one brush stroke; making it brilliant for quick on the go in a rush situations. 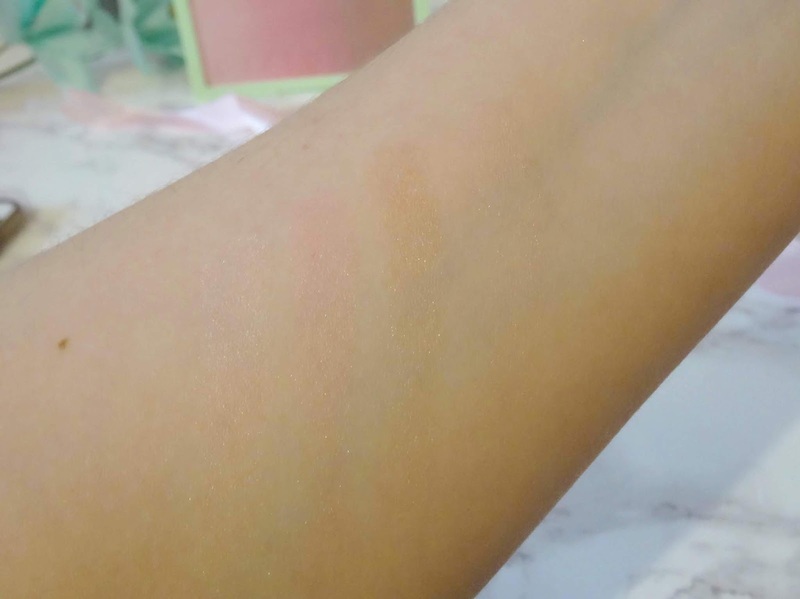 Both of the glow cakes contain light-diffusing particles and when the light hits you are greeted with a golden glittery shimmer which doesn't look too chunky on the skin, but rather radiant and glowy. 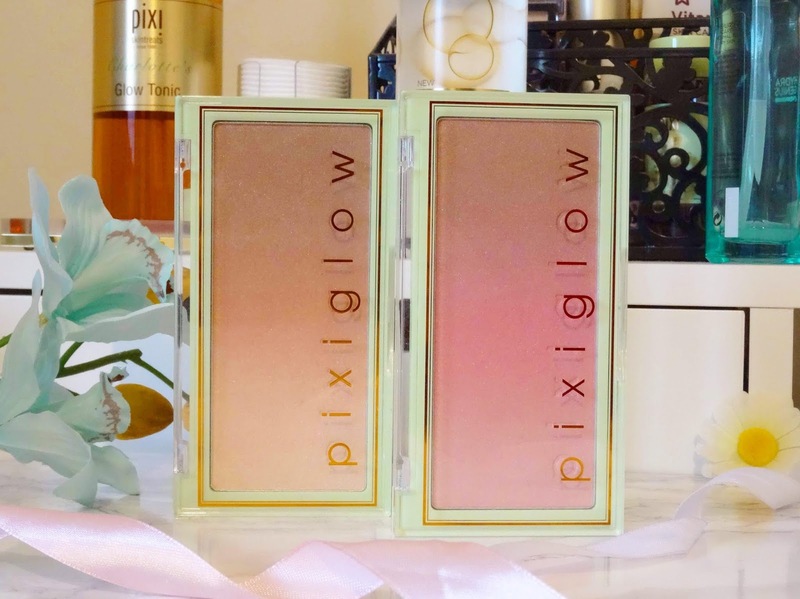 Pixi created these glow cakes to help you achieve a naturally healthy radiant complexion whether you use the three sections all together or individually and I love the subtle glowy finish they leave on the skin. I love using GildedBare Glow all over my face, on my cheeks and other areas where I usually bronze my skin for a natural look. The powders retail for £24.00 each and considering you get a blush, bronzer and highlighter all in one it's so worth it. Will you be getting your hands on them? Also, what's your favourite Pixi product? Thanks for reading.